Since I’m knee-deep in Shostakovich producing the NEC Truth to Power concert at Symphony Hall for video (more on that later,) can’t help but observe that today would have been the 90th birthday of the legendary-in-the-Soviet-Union-but-dimly-known-in-the-West pianist Tatiana Nikolayeva, (1924 – 1993), one of the few Russian pianists known for playing the keyboard works of Johann Sebastian Bach. On the jury that year was composer Dmitri Shostakovich, who was greatly impressed with Nikolayeva’s performances of Bach’s preludes and fugues of which she could play any from memory. Shostakovich wrote his set of Twenty-Four Preludes and Fugues Op. 87 for her between October 1950 and March 1951. Nikolayeva telephoned him every day during the period of composition, going to his home to hear him play the most recently written prelude and fugue, and gave the first performance of the complete work in Leningrad in 1952. Their friendship lasted until the day of his death, more than twenty-five years later. Check out the Maestra at work. Stunning. 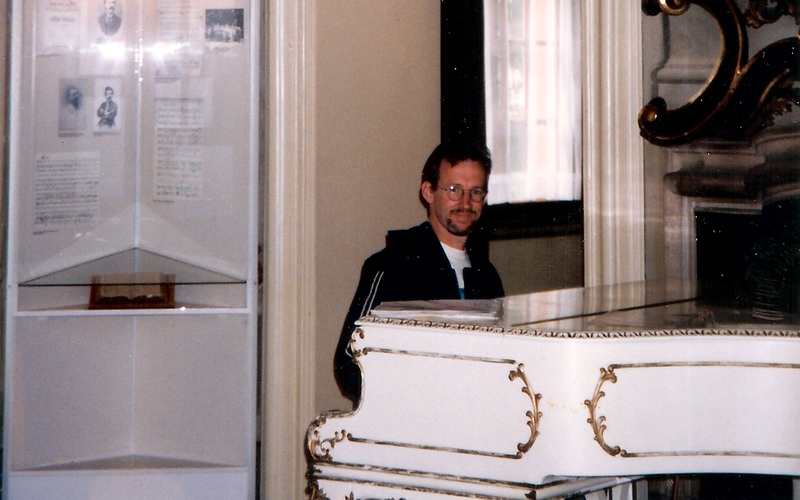 Rummaging around in the proverbial shoebox of old photos from an old Euro vacation, i ran across a Throwback Thursday-worthy shot of me tickling the ivories on Antonín Dvořák’s own ivory-colored piano. Did Dvorak actually own this gilded white grand? 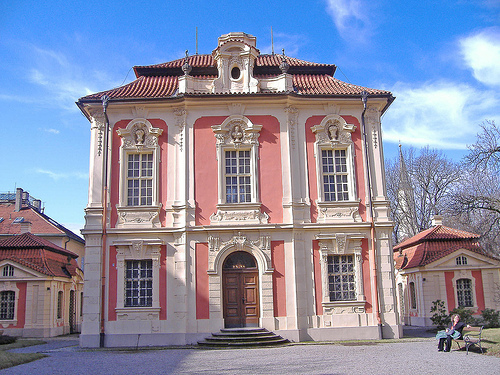 The photo was taken at the Dvorak Museum in a leafy section of Prague, in a restored Baroque mansion called – and, no, I’m not making this up – “Villa Amerika” – appropriate for the composer who became so famous in the New World, I suppose! 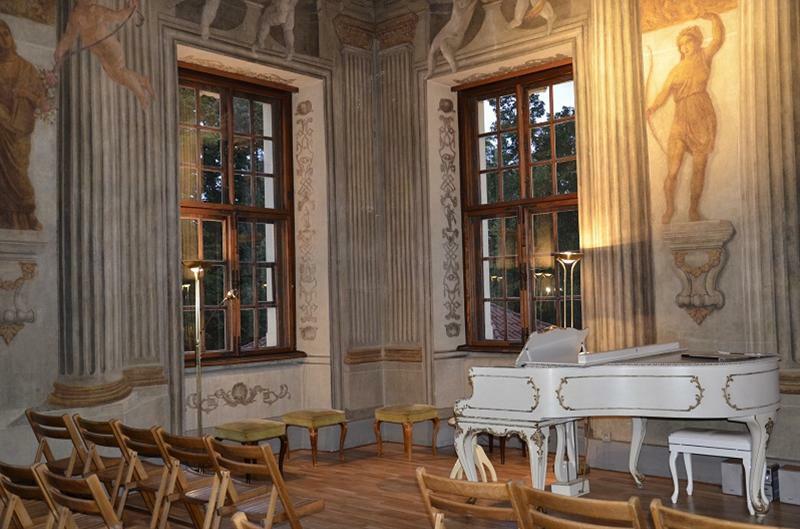 I recall it was in a different location when I visited there in the late ’90s, but today, the white piano now gets pride of place in a small concert hall on the second floor, perched below an ornate frescoed ceiling. But it got me to wondering about the Museum and more still about its Liberace-esque gilded white grand. Did Dvorak really live there? Did he actually play that instrument? And what kind of a piano was it, exactly? The answers: 1) No, Dvorak actually lived in a small place not far away, on Zitna street. But the Museum holds a lot of his various artifacts, including his viola. 2) Doubtful. Since I visited, the Museum has subsequently acquired Dvorak’s actual piano, a beautiful mahogany 1879 Bösendorfer, built in Vienna. 3) The piano, it turns out, is a Petrof, the storied family-owned Czech manufacturer run by a fifth-generation descendent of founder Antonin Petrof, born just two years before Dvorak. And therein lies a tale! It turns out that the company went into business in 1864 in the central Czech town of Hradec Králové, about two hours east of Prague, after young Antonin returned from an apprenticeship in Vienna and persuaded his father to turn their cabinet-making business into a piano factory. And the apogee of success happened for both “Tonys” at about the same time: Just as Dvorak was returning from “Amerika” and about to take up the directorship of the Prague Conservatory, Antonín Petrof is appointed by the Emperor as the court piano-builder for the Austro-Hungarian Empire. But after that the story becomes a tale of booms, busts, war, and then the advent of the Iron Curtain. In 1948, the Petrof factory was nationalized, and became a state-run factory of a profoundly diminished reputation until the Petrof family got their company back in 1993. And if you do the math, that means that the Petrof company is 150 years old this year! Read more about the Petrof Piano Saga here: “an amazing story of courage, determination, and a family’s extraordinary commitment to exemplary piano building tradition...and check out this video visit to the Petrof Piano factory below, replete with the roll call (with a few hilarious misspellings) of Petrof piano artists,including Ray Charles (who even had one in his home), Count Basie, Bill Evans, Mal Waldron, Lynne Arriale, Richard Clayderman (! ), and Jacques Loussier. 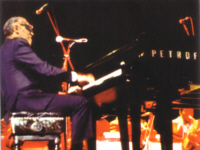 Ray Charles’ favorite piano brand? As promised, some favorites by the vastly underrated second (and in my opinion, most interesting) son of Johann Sebastian Bach, whose 300th birthday is being observed this year. What I like about both discs is the way that Pletnev seems to cut through the sentimentality and preciousness that seems to affect/infect a lot of performances from this era, and uncover the passion and emotion that is embedded in the music. 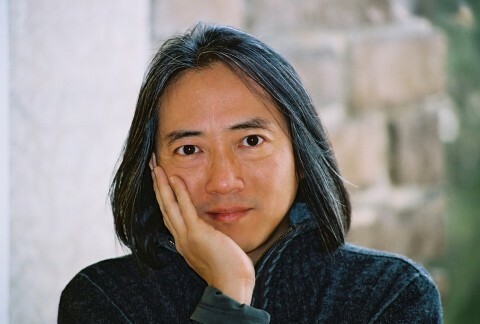 That, and the flashes of innovation, schizophrenia, and downright wackiness that is characteristic in music of this era, especially in the hands of CPE Bach. On the one hand, he’s championing the old man’s legacy and Baroque ideals; on the other, he’s busting out and bending and twisting these tried-and-true forms into new shapes. 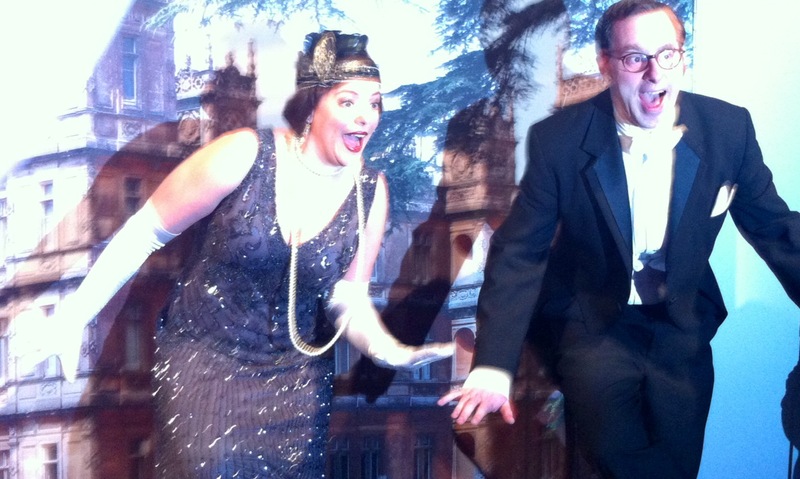 Still buzzing from the terrific performance at last night’s “Evening Inspired by Downton Abbey,” featuring soprano Melinda Whittington and pianist Ethan Uslan, playing classical, “jazz,” and other standards from the 1920’s in the WGBH Fraser Performance Studio. And for an encore, since it was, after all, Chopin’s birthday and all, Ethan had to play one of his signature compositions. I explained to the Downton fans the title was inspired by what happened when poor Moseley the bumbling butler-turned-footman backs into an object d’art in the Crawley household….